St. Maarten. 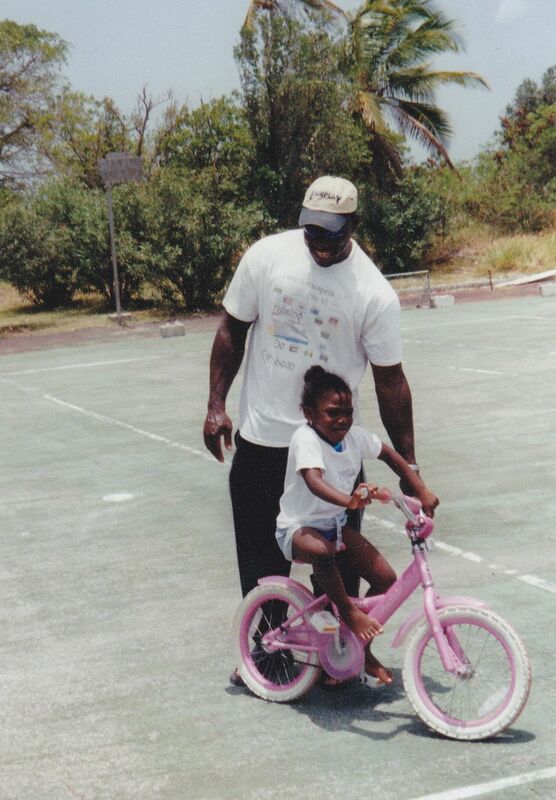 Kurt and I were wandering around the island and saw this father teaching his daughter how to ride a pink bike. There is something universally cute and heartwarming about seeing a kid learning how to ride a bike. I even took this photo before I became truly sappy since having my own kids. 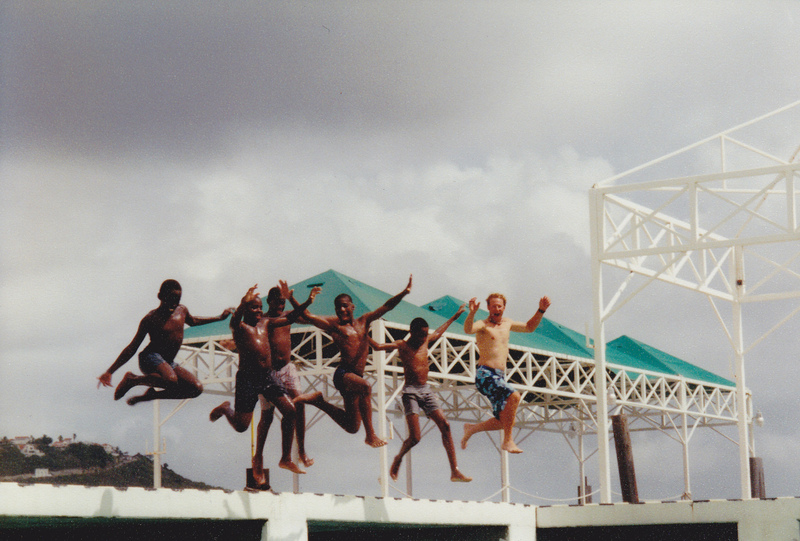 This series of photos is of my husband Kurt and some new friends he made while we were in St. Maarten. 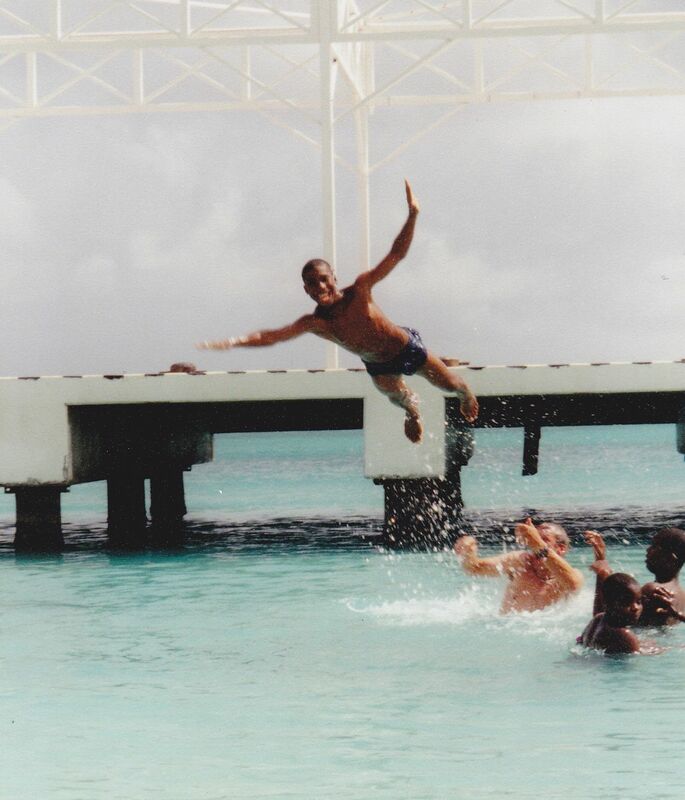 He saw some local boys doing jumps off a pier into the water. Pretty soon Kurt was jumping off the pier with them and then decided to launch them himself. I don’t know who had more fun.